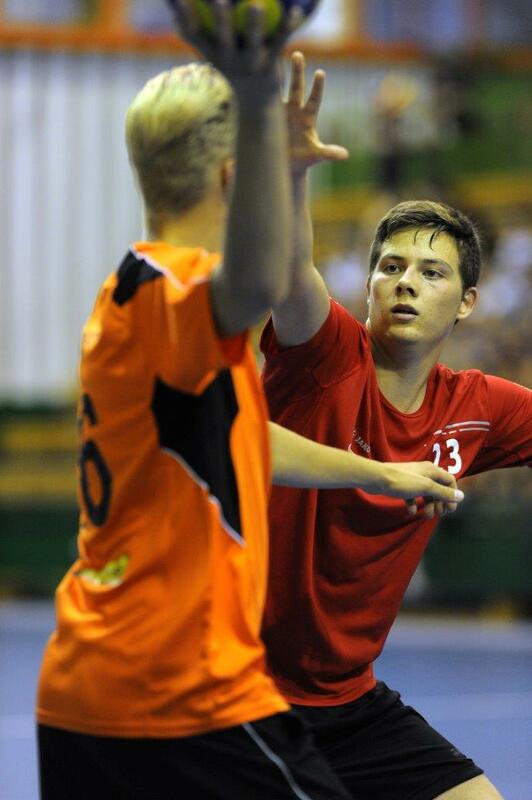 The final between rivals The Netherlands and Belgium was very close, with half time reached at 12-11 for the Dutch. However, five minutes into the second half, with the score 14-14, the started Dutch an eight minute “blackout” ending with Belgium leading 19-14. Nobody would put their money on the Dutch at this stage but they didn’t give up and equalized just before normal playing time ended, the scoreboard stopping at just 0.1 second as their equalising goal was given, leaving the score at 23-23. The Golden Goal period started with the Dutch shooting precisely to score in their first attack. But Belgians equalised in their attack to make it 24-24. The next attack finished with a wrong Dutch shot and the Belgians used their chance to win 25-24. The last time Belgium had defeated their Dutch rival in an IKF Youth level Championship was 28 years ago in Marbella and it was 23 years ago since the Belgians had defeated their neighbours in any IKF major final. The bronze medal match was between Portugal and England. This game was not about good quality shooting and was very close until the 33rd minute when Portugal stepped forward with two goals to open a lead that England could not close. They finally won 14-11 (h/t 5-5) placing Portugal 3rd and England 4th. In the other matches, the game between Czechs and Catalans was expected to be a close fight, but the spectators saw a parallel with the Brazil world cup semi-final as in only the sixth minute it was already 7-1 for Czechs and the Catalans looked really down. But the Czechs thought that game was decided and let Catalans to come back to a more acceptable half time score of 13-10 for Czech Republic. In the second half, however, the Czechs didn’t allowed any more questions to be asked, raising the difference to 10 goals ending game 26-18, confirming the Czechs Republic 5th and Catalonia 6th. The match for 7th and 8th place was Germany vs. Russia. The Russians started better, but Germany hit back to lead 8-7 at half time. It remained balanced until midway through the second half when Germany began to prevail, finally winning 18-13 placing Germany 7th and Russia 8th. Hungary played Poland for 9th place. The game was equal until half time (7-7) but second half started with a Hungarian offensive and the Poles couldn’t pull back, resulting in a 17-13 win for Hungary placing them 9th and Poland 10th. Turkey did not play on the final day and were placed 11th. The IKF photographer Mr Cor Mantel was around in Olomouc (CZE) to make pictures. We give you an impression. 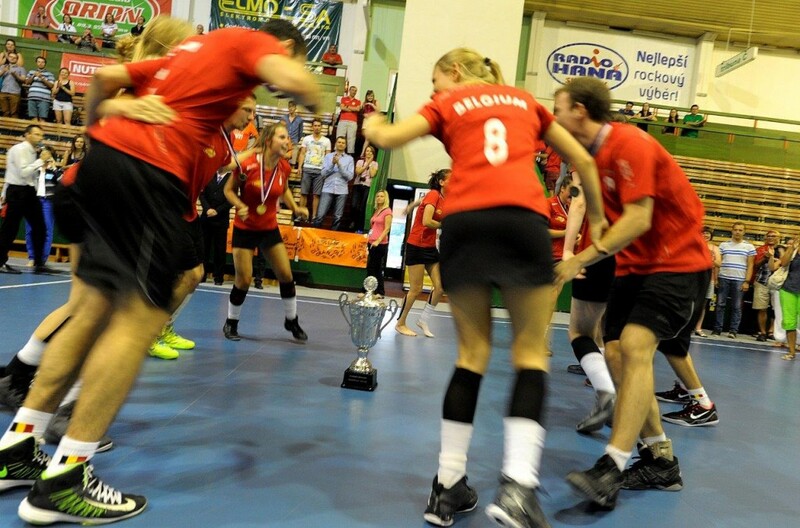 The IKF U21 European Korfball Championship does have a new winner. Belgium U21 beat their eternal rivals The Netherlands U21 after an exciting match with a Golden Goal extension. After 23 – 23 after normal playing time Belgium U21 wins 25 – 24 under guidance of referee Dean Woods (ENG). 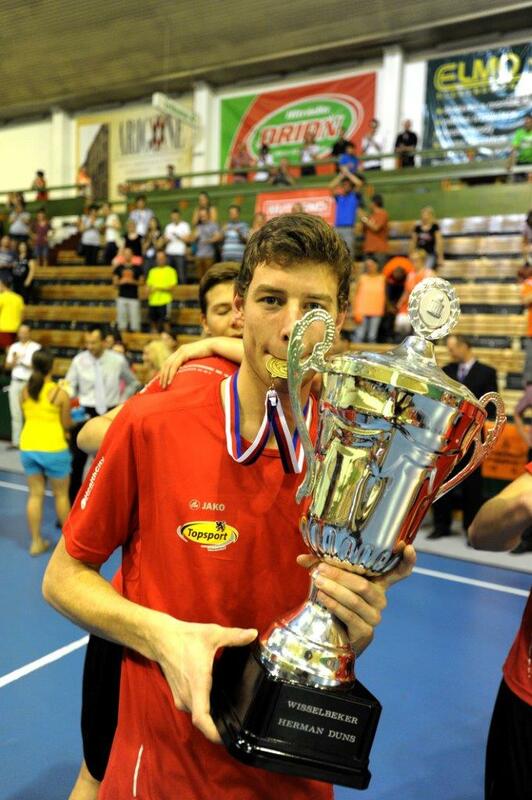 Portugal U21 earns the bronze medal after beating England U21 (14 – 11). 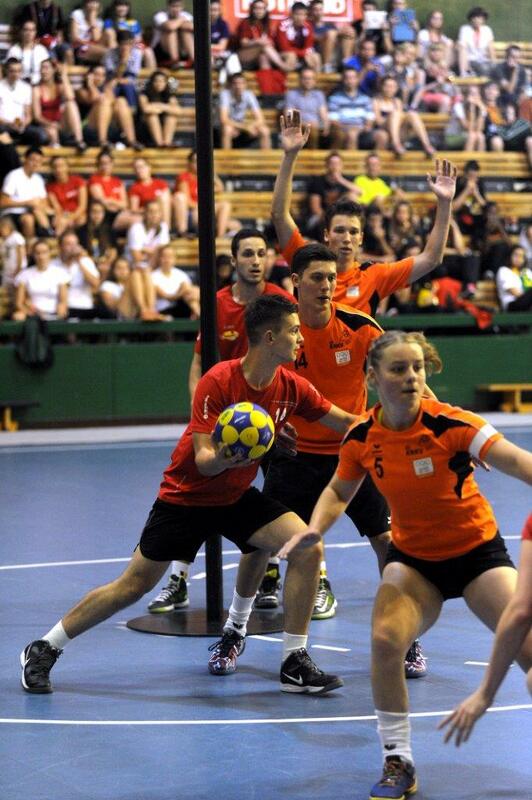 Belgium did beat the Netherlands 25 – 24 in an exciting Golden Goal final in the IKF U21 European Korfball Championship. After normal playing time it was 23 – 23. The Dutch scored the equalizer 1 second before the end! More to follow later tonight! The sixth day was semi-finals day with cross pool matches. The semi-finals for the medal places were the last two games of the day. Both games showed a big gap between the top two countries – The Netherlands and Belgium – and the rest. Belgium beat Portugal 31-11 (h/t 15-6) and The Netherlands beat England 29-10 (h/t 17-5). In the other matches, Poland against Turkey should be easy for Poles on paper. Poland started better concentrated, keeping Turks on distance and was ahead at half time 9-5. The second half, however, was not as easy as expected, The Poles went down and the Turks felt the chance, but Poland held on winning by just one goal 13-12. Catalonia vs. Germany was better started by the Germans, but they didn’t continue in that way and at the end of the first half were losing 7-10. In the beginning of the second half Germany was in a better mood and they came back to 11-12 in the 28th minute, but it was end of Germany’s revival as the Catalans recovered and held on for a 17-15 victory, a big disappointment for the Germans. The other game, between the Czechs and Russia was expected to be fight between the best scorers of tournament – male (Petrukhin) on Russian side and female (Kolářová) on Czech side. The Czechs started well, but Russia was able to equalize at 2-2. Nobody expected, however, that this was all from the Russians. The Czech captain Denisa Kolářová started her shooting performance followed by the whole Czech team. Half time 11-5 and an end of game score of 21-9 clearly confirmed Czech dominance in this match and made home crowd happy. 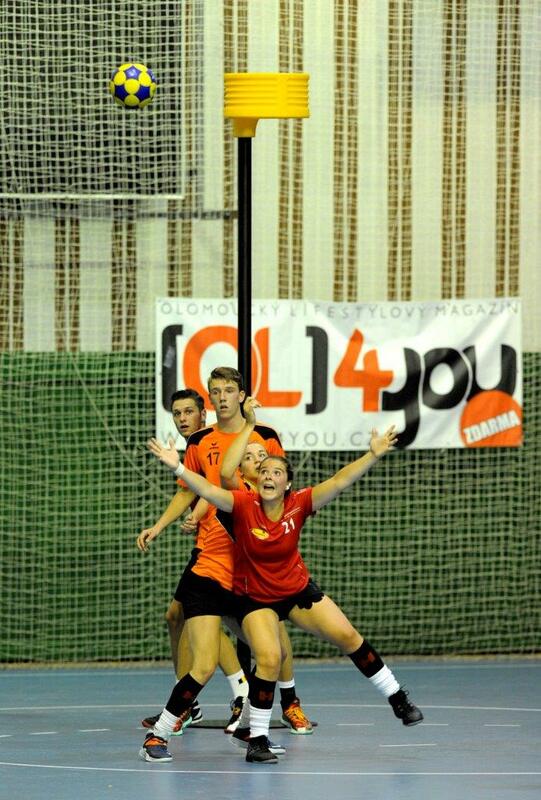 Saturday 12 July 2014 is the finals day in the IKF U21 European Korfball Championship. Friday 11 July 2014 the semi-finals will be played in Olomouc (CZE). The fifth day had clear target – decide the final ranking of the pools. The first of these deciding matches was the game England against Germany. England started more concentrated, but Germans soon hit back and were ahead at half time 6-5. The second half was balanced until the 33rd minute when England scored three times in the row and this helped to decide the game in their favour, the game ending 18-14 in their favour. England then had to wait until the third match of the day to see if they would finish second in the pool. A win by Poland against the Czechs would place them 4th. In the other pool, Netherlands vs. Turkey was good learning lesson for the Turks with a clear 28-12 (16-6) win for Dutch squad. The fourth game of the day, Portugal vs. Catalonia, decided who would finish second in pool A. The Portuguese showed their strength and didn’t give the Catalans any more space than necessary, winning each half of the match in identical scores, 10-7, making the final result 20-14 and placing Portugal in second place. The highlight of the day was the third match between the Czech Republic and England and showed whether either team is strong enough to support their thoughts about a medal. The Czechs definitely showed a promising improvement following their earlier matches and England put their dismal performance of the previous day well out of their system. The match was level at half time at 6-6 with both teams feeling their way against each other. However, in the second half the match livened up and showed differing shooting styles – excellent from the English players and weak from Czechs – with the game ending in a 20-14 win for England, keeping them in fight for second place in the group and the Czechs at the bottom of the pool ranking with zero points. Thursday’s showdown between England and Germany will determine who will reach the semi-final. The fourth day started with the game between Turkey and Catalonia. The Turks started with better concentration and at half time were 5-4 in the lead. However, the Catalans’ experience prevailed in the second half with the match ending 11-7 in their favour, deciding that Turkey will end on the last spot in the tournament ranking. The second match, Russia vs Portugal, continued with the day’s poor shooting so far, but the Portuguese slowly but firmly built up their lead from 6-4 at half time to 16-10 at the end. The last two games looked like good training exercises for the top two ranked teams because Belgium overcame Poland easily 33-6 (h/t 14-4) and the Netherlands comfortably beat Hungary 37-13 (h/t 18-5). The third day started with game Russia against Turkey. There were no doubts about winner from the beginning as Russia was far stronger. Final score 17-10 (half/time 13-3). The following matches Belgium vs Germany 25-9 (h/t 15-6) and The Netherlands vs Catalonia 36-8 (h/t 20-4) just confirmed the expected victories by two dominants. In the fourth game the result was clear as well because Portugal overcame Hungary 19-12 (h/t 9-2). The final game, however, produced the best game of the day and the biggest surprise so far when Poland shocked England by winning 21-13 (h/t 11-4). The English started badly and, like the Czechs the day before, seemed to be unsettled by what they considered to be some strange refereeing decisions in the opening minutes. This, coupled with hardly ever having more than one shot per attack (and that mostly inaccurate), led to what was probably the worst England display seen for many years and the Polish team thoroughly deserved their win. To make England’s day even worse, one of their better male players suffered a badly injured knee just before the end and had to go to hospital. The second day started with very close and emotional match, Belgium vs England. The English team performed above expectations and spectators in the sports hall saw a really great game. The Belgians seemed to have left their guns in the hotel and needed a kind of luck in winning the match by a narrow margin – 13-12 after a 6-5 half time score. 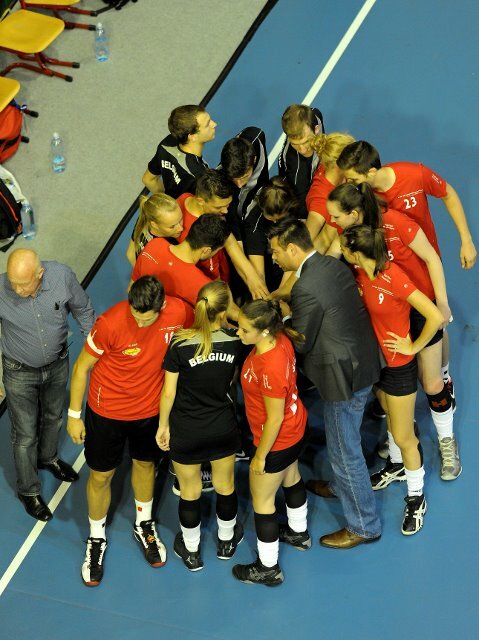 The second match brought together the teams of Hungary and Turkey. In the first minute of the match there were three goals and the audience was looking forward to a big fire fight. However, the powder keg of goals didn’t explode. However, we got to half time with the score quite close – 8-7 but Hungary turned the score in their favour in the second half wining this stormy game 16-13. For the Czech audience the most attractive game was the third game in which hosts clashed with rivals from Germany. It took a long time before the first goal was scored by the Czechs but within 10 minutes the Germans built up a three goal lead and held this until half time – 6-9. The Czech players and supporters seemed often surprised with decisions of the referee, so the atmosphere in sport hall became almost explosive. Confrontation between the Czech players and the referee continued in the second half, culminating with yellow cards for Jan Simek and Denisa Kolarova. The Czechs tried hard, keeping within one goal, but in the end failed to overcome the German defence. The match was ended 14-11 for Germany. For the fourth game of the day we had Catalonia and Russia. The Catalans did not pass well in the first half which led to an increase in goals for the Russian side. Half-time was reached with a score of 7-11 in favour of Russia. In the second half the Catalan coach changed several players, which proved to be a good move, bringing the scores level at 14-14, and at the end of normal time the scores were still level at 19-19. This led to the second match to be decided by a Golden Goal, with the Catalans having lost the day before by this manner. Catalonia scored from first attack and Russian failed to reply in their attack, even getting yellow card for Sergey Glazkov, leaving the final score 20-19 in Catalonia’s favour. The last match of the day was the Netherlands against Portugal. The Dutch team started quickly and with accurate shots from almost any point on the field took lead, which in the first half increased to 14-6. In the beginning of second half the Dutch coach replaced a whole quartet of players, which brought even faster korfball and more quality shooting opportunities. Portugal also managed to add a few more goals and the match ended with the score 32-13 in favour of the Dutch. The final in the IKF U21 EKC in Olomouc (CZE) 12 July 2014. Have a look and watch the high level of commitment, dedication and korfball quality. Mr Dani Ezpeleta made a video of some bloopers during Hungary – Catalonia match in the IKF U21 European Korfball Championship. Have a look!